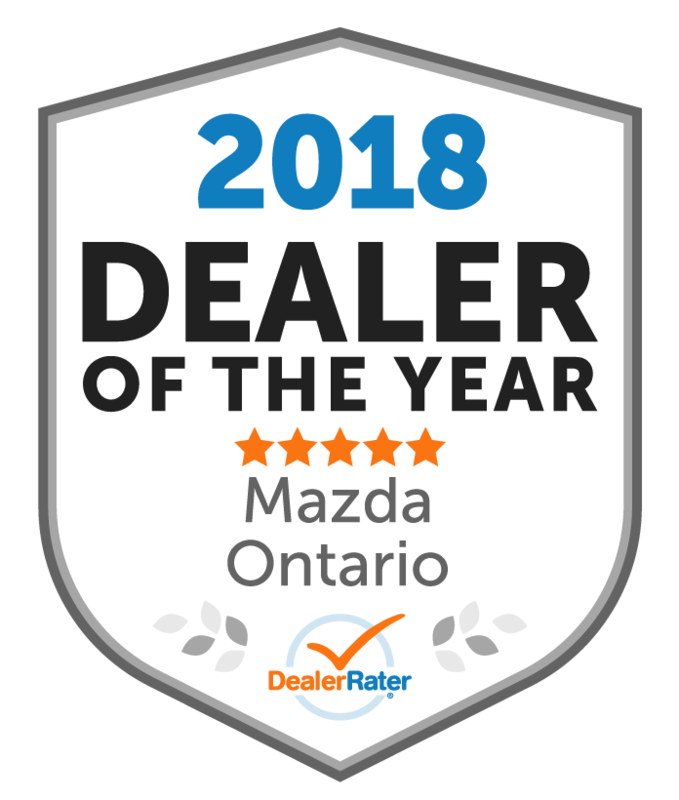 "Excellent, friendly and fast service "
I went to do my Mazda its service and change tires and Andrea from Budds Mazda oakville was great! She answered all my question on a friendly manner and the crew did the job much faster than expected which is always great. "Best dealership I have experienced. " Joseph Khalsf who I met at Budds Mazda. Joseph was very helpful and professional. He provided me plenty of information about cars and options I could select. When I picked up my new car, Joseph checked the car with me for more then 1 hour. It seemed like Joseph was buying his own car. I have been very satisfied with the new car. Our family thank a lot to Joseph. If I need to get a vehicle again, Joseph will be the first salesperson I want to see with no hesitation. 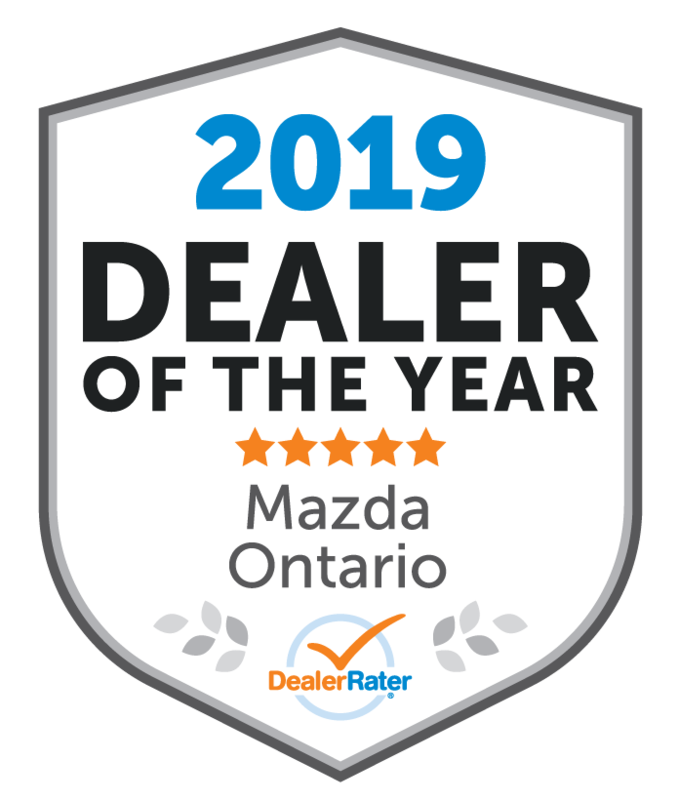 "Pleasure to deal with Budds' Mazda staff - very professional"
As usual, the service for my car was quick, nice and easy. Katie was the perfect service person. no pressure. Great job by all. Will certainly be back. 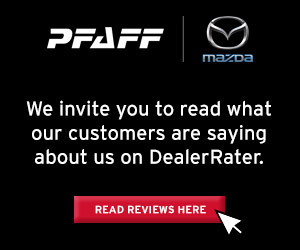 I dealt with Katie to book an appointment for my Mazda 3 2015. Katie has a very good customer skill and treated me with respect while suggesting additional service. There was no unnecessary pressure to get more things done on my car like some other dealership may do. At the dealership Ganesh took care of me and I was very satisfied with his professionalism. I felt valued as a customer by the way Ganesh worked with me. I also think that the mechanic did a good job. Regarding the price, I would say that it is a little on the high side. For a 48,000km service I paid $49.99 and the labour cost was $216. Being the only bread winner in the family of five it is not easy to spend $314 (with tax) at a time. Needed a maintenance service and Katie got me in quickly. She is the best. I will only deal with her in the future as she is always on the ball and exceeds expectations...... Even for an oil change!! Thanks Katie keep up the good work. Many thanks to Andrea, Katie and Ganesh who always provide great advice and service in the care of my car. Service is always quick and efficient. "I just stopped in as I saw a light warning "
I was going to do errands but noticed a light that looked like a tire. I headed to Budds to see if they could help. Katie got me in as always and as it happens, the very cold weather lowered the tire pressure all way round. They checked the tire sensors, topped up and had me on my way. My fob battery was needing replaced & it was done quickly at a small cost. This is our second CX-9 and we love it, our salesman Sean and the girls in the service department. 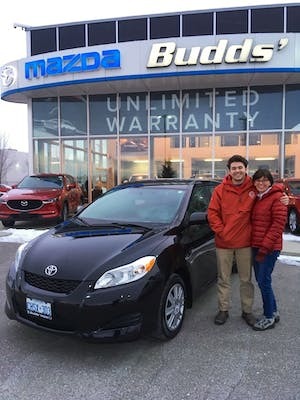 "My Experience at Budds Mazda "
I had a great experience with purchasing my first car at Budds Mazda dealership in Oakville. 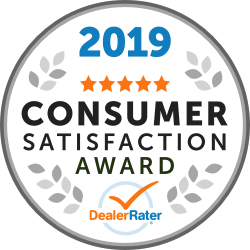 Jason Rebelo was an incredible help and he goes above and beyond for his customers. This is the third car we have purchased from budds mazda and Jason has helped with all three. We would definitely recommend him to friends and family.